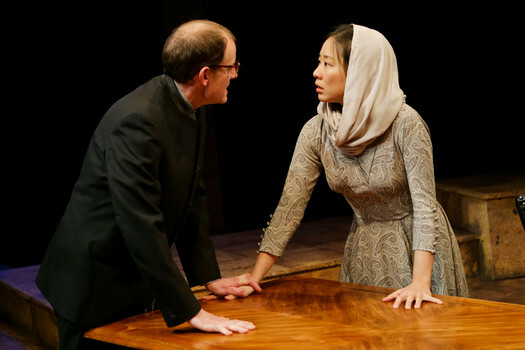 The director of Seattle Shakespeare’s current production of "Measure for Measure." has had a lifetime relationship with the Bard. It began with her mother being "a horrible test taker," said Desdemona Chiang. After finishing in the bottom 5 percent of a national test to determine college placement, the Taiwanese government placed Chiang's mother "in theater school. She spent four years doing theater against her will – because she really wanted to be a journalist." However an encounter with Shakespeare’s "Othello," and a liking for the character of Othello's wife, led her to name her daughter Desdemona. “So I’ve always being fascinated by Shakespeare because of my name. I first tried to read ‘Othello’ when I was 9,” Chiang recalled.